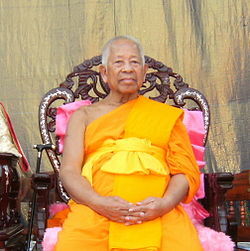 Mahapali Vijjalaya was founded on April 4, 2012 to organize Pali study for lay people. The aim was to make Pali study a tradition for Thai people from all walks of life who may pursue the study at their convenience. 1. Buddhists consist of both the monastic order and lay people. Nowadays, the number of people who are ordained as novices or monks at young age is decreasing. So is the number of monks who are interested in Pali study. As the majority of Buddhists are lay people, they should not abandon the task of inheriting Buddhism. The best way to do this is to study the Teachings of the Buddha which were recorded in Pali. The learning and the memorization of Pali Teachings and the ability to pass on to next generations are the best ways to continue Buddhism. 2. Pali is the language in which the Buddha’s Teachings were recorded, hence the main root of Buddhism. Having good knowledge of Pali will make it easier for Buddhists to understand the Teachings and avoiding mistakes in their practice. 3. Life expectancy of a human being is so short. Lay people usually dedicate their time to earning money, accumulating materials and creating wealth. However, there are some people who want to spend one or two days a week on building and accumulating spiritual Perfections in wisdom, effort, patience, truthfulness and determination. Pali study is therefore an important first step. 4. Currently, there are few Pali study institutes that open for lay people. In fact the number of these institutes should be proportionate to the number of population, i.e. 1 per 100,000 Buddhists. 5. In Thailand there are several important traditions such as Thai New Year (Songkran) Festival, rains-retreat, alms offering at the end of rains-retreat (Tak Bat Devo), etc. 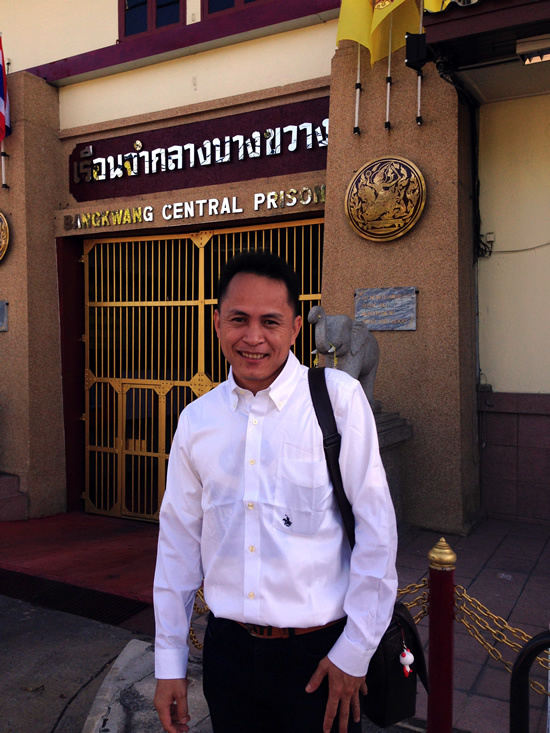 It would be best if Thai Buddhists will make Pali study a new tradition. Everybody finds and creates an opportunity for oneself to study Pali, a life-long study, having a dedicated institute provided step-by-step learning which is tailored to the liking and ability of student. 6. Knowledge of Pali makes it easier to study Dhamma and Tipitaka, listening to Dhamma and practice. Study Pali, the language of our own religion, should be regarded as a normal practice for Buddhists. 1. To investigate, design and develop Pali curricula for lay people. 2. To organize Pali study for lay people. 3. To develop a Pali test center with international standard. 4. To develop various information technologies that promote Pali study. 1. To develop multiple Pali curricula that tailored for student groups at different ages and levels. 2. To cooperate with various temples and organizations to open Pali classrooms for Buddhists in every province throughout the country. 3. To encourage Thai people to study Pali as a traditions by finding means to support 200,000 people per year to study Pali by 2023 and 2,000,000 per year by 2057. 4. To open Pali-English course for foreigners who are interested in Pali study. 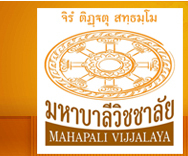 Mahapali Vijjalaya is a not-profit Buddhist education and carries out activities and projects under the financial support from donations from individuals and various organizations. If you feel that our ongoing activities are meaningful to Buddhism, the nation and the society, and would like to make a contribution please see the detail below. Mahapali Vijjalaya is a newly founded organization and requires advice and support from a large number of people who have the knowledge, faith and capability. If you would like to provide help to the Institute, please contact us at anytime. 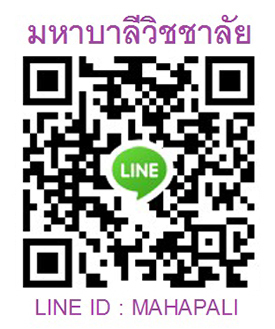 Lay people who want to study Pali are invited to apply at the Mahapali Vijjalaya. If you want to open Pali classes for lay people please contact Mahapali Vijjalaya.